Tough design for rough work, but with the classic feel of cotton. 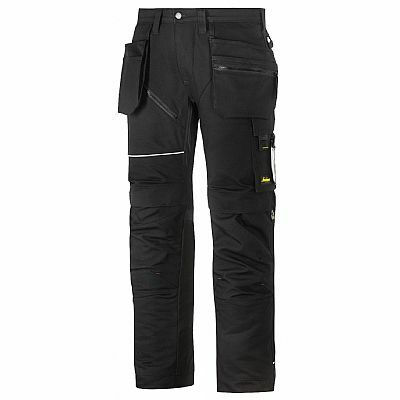 Modern Snickers cotton heavy-duty work trousers combining amazing fit with reinforced functionality. 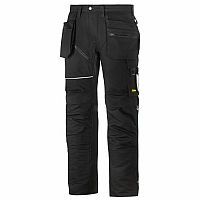 Features Cordura � 1000 reinforced knee protection, built-in ventilation and stretch gusset in crotch for hardwearing comfort at work. Material: Cotton. A Heavy cotton fabric for outstanding working comfort. 100% Cotton 2/2 Twill, 380 g/m�. Featuring 100% Cordura �-Polyamide reinforcements. 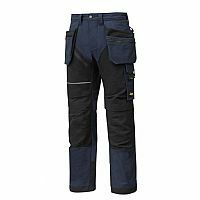 Our new generation work trousers (product numbers starting with 6) have a new fit, making them a size smaller than our classic 3-Series trousers.